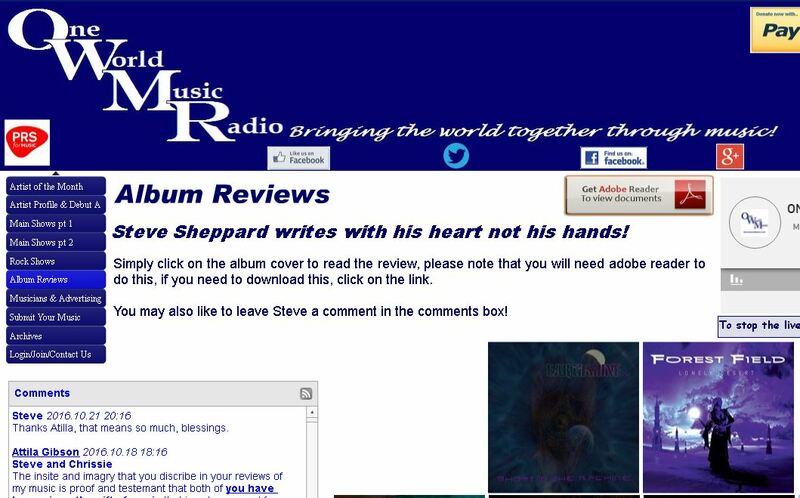 Steve Sheppard from One World Music is someone who obviously cares deeply about his reviews and puts in a lot of effort to understand the music and give it the words it deserves. And once again he hit the nails on the head with his writing about Forest Fields Lonely Desert album. From our perspective it is so great when people really take the time to dig in and get the understand what the artists do!